PRICE REDUCED! 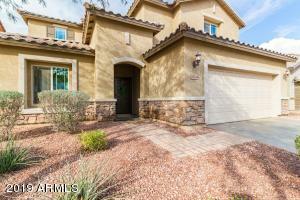 It's rare to find a home of this size with these features for this price in Arrowhead Ranch. Beautifully kept and well updated Arrowhead Ranch home with a sparkling, newly plastered and tiled pool, and NO neighbors behind you! This three-bed, two-bath home boasts carpet and paint less than two years old, updated cabinets, an energy-efficient TANKLESS water heater, and lots of storage! Schedule a showing today! From the 101 freeway, head north on 67th and left on Arrowhead Loop. Left on 69th Ave, and left on 69th Ln, which curves around to Pontiac. Property is on your right.